Although to some it seems like a no brainer, the most up to date research tells us that when we fail to change, we fail to grow. It is not so much that we grow old, it is that we grow stagnant. 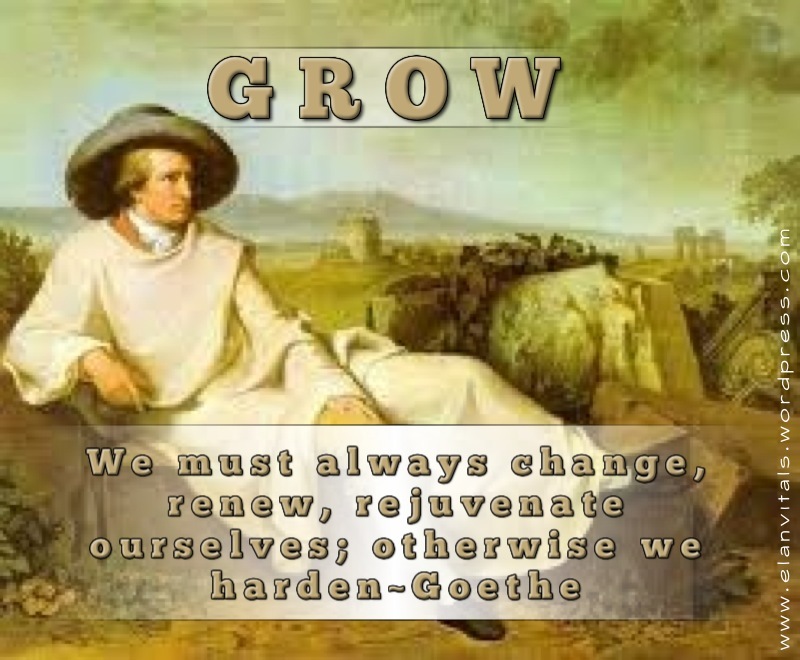 Without a renewable source of energy that encourages change and renewal in which to rejuvenate ourselves we invite stagnation and grow old. What keeps us young is our expectations and in our attitudes; in love, in life, in our daily doings. At every juncture of our life we have the capacity to change. Wherever you are today, you have the capacity to change. The ability to execute change comes with our expectations and attitudes, and the failure to change is embedded in both. To change your life you must expect that you have the capacity for more, and begin to live with an attitude that you will get it. As a society we have succumbed to a set of cultural beliefs that classify us based our past level of performance. Heck, WE classify us based on our past levels of performance. When it comes to living well in health and our physical body, experiencing joy in our careers, and living in loving relationships…..90% of it rests in our attitudes and expectations. If you are not getting what you want out of life, check-in with your attitude and expectations. How many times do you base your expectations on what has happened in the past? Like Eeyore, we think “Oh well, I never had it before, I probably won’t get it now.” No matter the past, absolutely you can have it now. You just need to embrace growth and change. Increase your level of expectation, and from today forward live with an “I CAN-ittude”. In which area will you begin to expect more today, and are you willing to change your attitude so that you will have it? It’s your journey, now get on board and own it! Thank you for stopping by and your kind words. Blessings to you on your journey. Thank you Scott for sharing your passionate thoughts on correct leadership. It is all about people first and a transparency and a desire to improve. Absolutely, you are speaking to the choir here my friend. We are all on the same journey, each of us bringing a different ingredient that makes us whole. In my reply to you on a previous post “Conflict and Clarity” I concurred, people centric is what true leadership is all about. As Covey says in The 8th Habit, “find your voice and help others to find their voice”. I believe it is the diverse individuality we each bring to leadership, and when we combine in that model all of the elements of an ethical leadership with a desire to serve others, that is what makes it people centric. It is not the person delivering the message so much, it is not me that makes it great, it is in the representation of the underlying principles that make it worthy of living it. I did look at Bob’s model yesterday. Very good stuff.